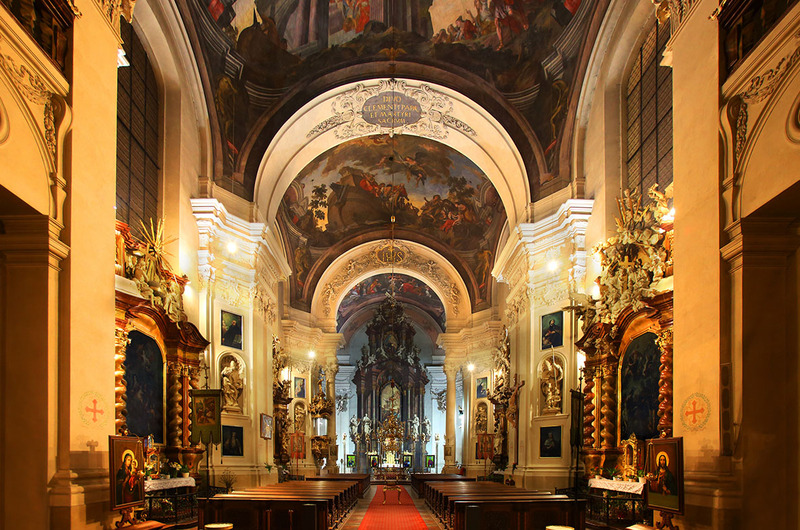 St. Clement's is a magnificent Baroque structure built in 1711–1715 by A. Lurago to the plans of architect F.M. Kaňka. It was erected around the site of a former Gothic church demolished in the 15th century. The cathedral has a single-aisle with a divided ceiling, which holds the statue of St. Clement by F.I. Weiss. There are other statues by M.B. Braun, paintings by I. Raab, and murals of St. Clement's life placed in the dome by J. Hiebl. 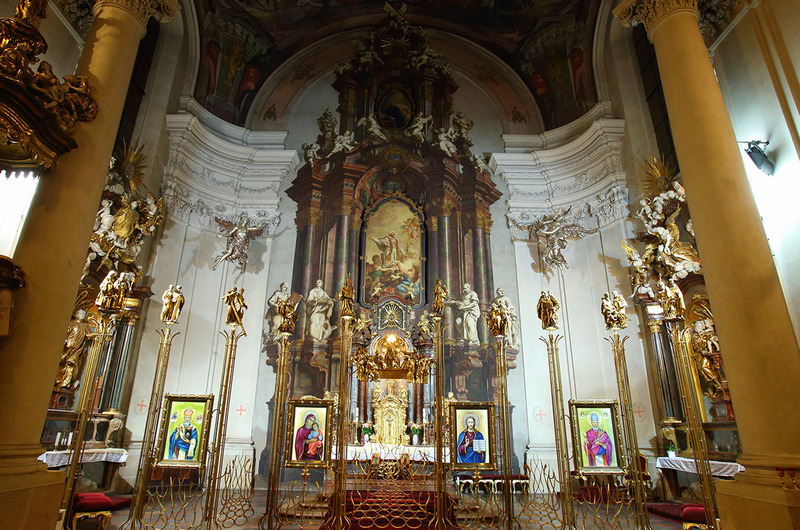 The side altars, the pulpit, the confessional and the organ loft all deserve attention, with sculptures by M.B. Braun from 1716–1721, and a picture of St. Linhart by P.J. Brandl from the year 1716. 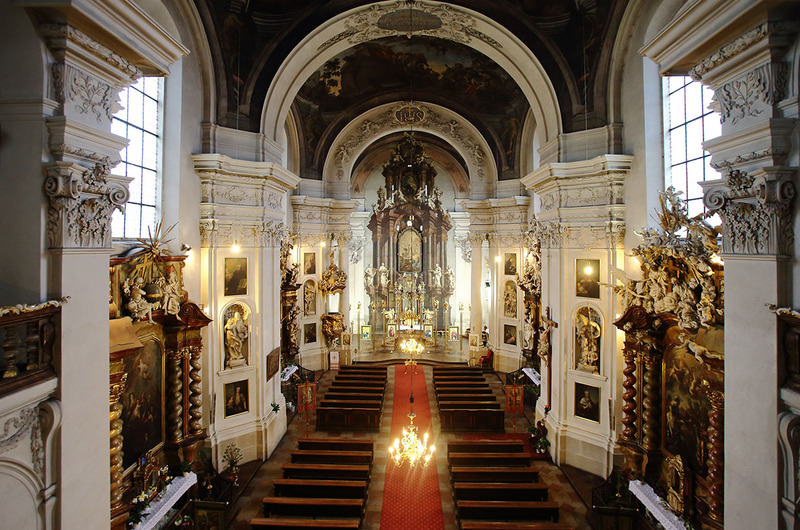 Stucco decorations are the work of S. Gőtzler, and the main altar was painted by J. Kramolín. 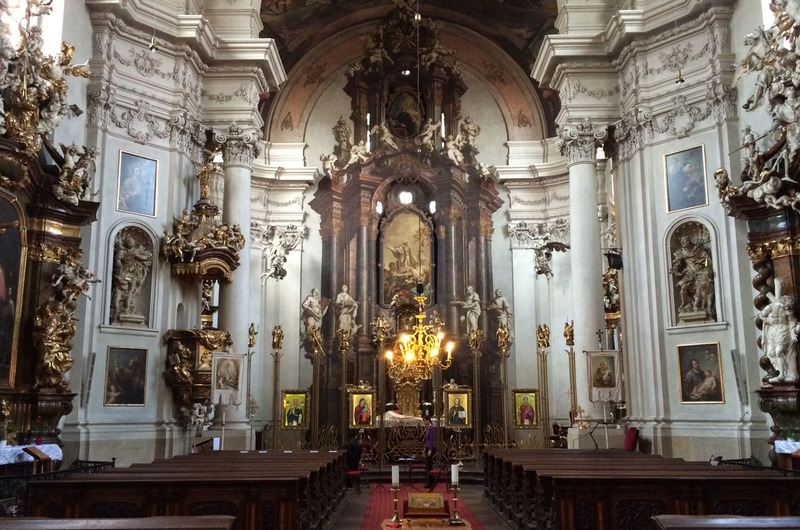 St. Clement's Cathedral represents one of the most important examples of Baroque architecture in Prague. It is currently owned by the Greek Orthodox Church. 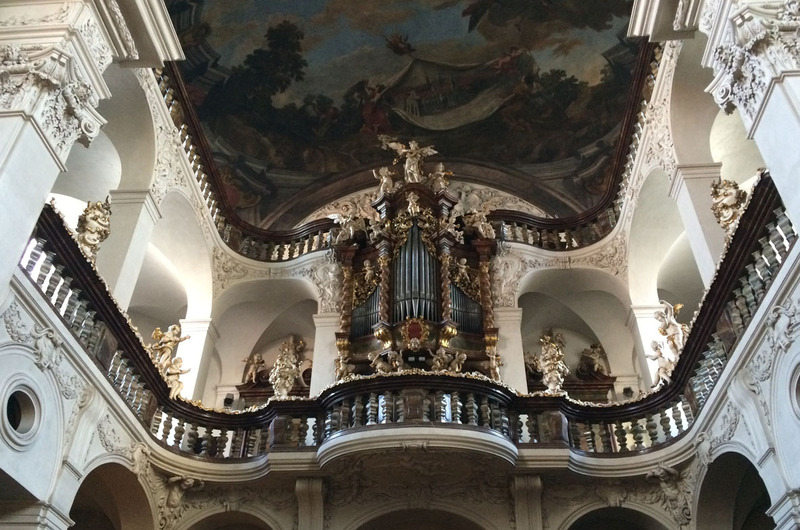 St. Clement's is known for its excellent acoustics, making the church a fine venue for classical music concerts. 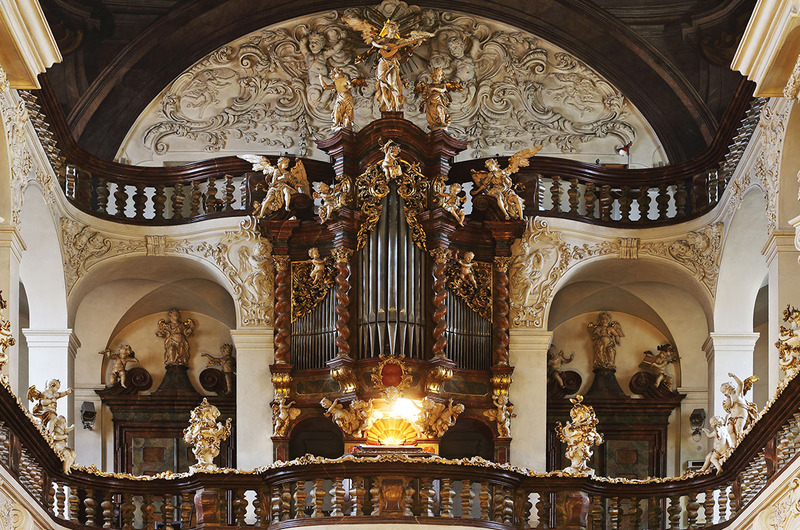 These run throughout the year and feature the original Baroque organ from the 18th century.